Do you know your Art Deco from your Neo Classical? How about your Shabby Chic from your Vintage? Get up to scratch with the 10 most popular Interior Style Themes – so you can start sounding like a pro! 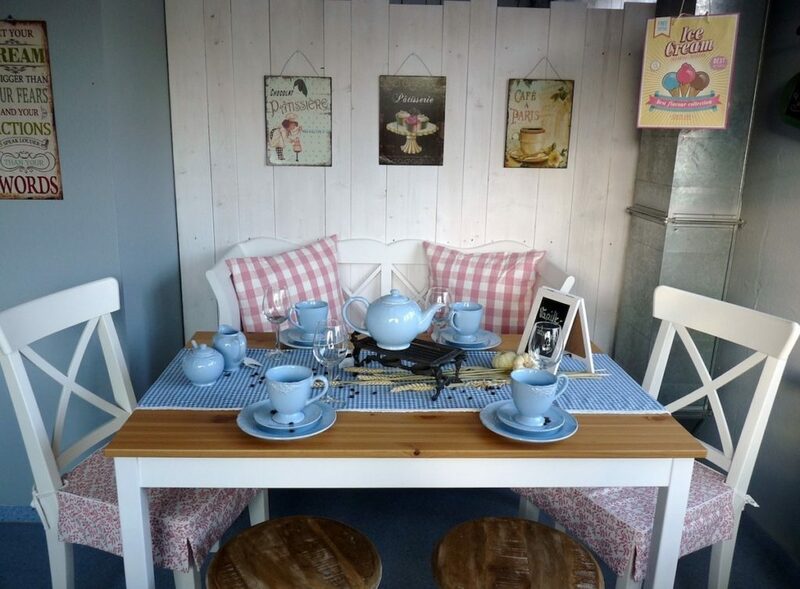 If you haven’t heard of shabby chic, what rock have you been living under? This interior style theme is vintage-inspired but usually features more muted colours. It is a softer, more feminine look and furniture (painted in paler tones) is usually distressed. The great news about this style is that it doesn’t take a lot of effort (or money) to pull off – it’s shabby remember? But rather than go for ‘cheap and cheerful’, pick a couple of items of furniture that will totally go with the look – and proudly display them, warts and all (scratches, dents, marks)! I’m talking old cabinets, sideboards and tables – and then source cheap accessories such as cushions, throws, vases, ornaments, pottery, ceramics and trinkets to finish off the look. Keeping it on a budget, charity shops, markets and boot fairs are great for finding the right gems. Some people would describe the eclectic look as a collection of styles just chucked together – a mishmash of styles if you like. And it kind of is, except the eclectic look has been carefully designed for all the different styles of items to look good together. It could be an underlying base colour that ties everything together, or certain elements of pieces that all have something in common. It’s not difficult to find what you might call eclectic looks in most households today; after all, we don’t all have the same taste: you might like a country look merged with a mid-century design. My own kitchen features both a mix of country and retro-style, with a distinct nod to the 1950s. When I think of the word rustic I think of a contrast of materials such as wood and stone mixed with a couple of warm throws and open fires. A log cabin in the woods perhaps! 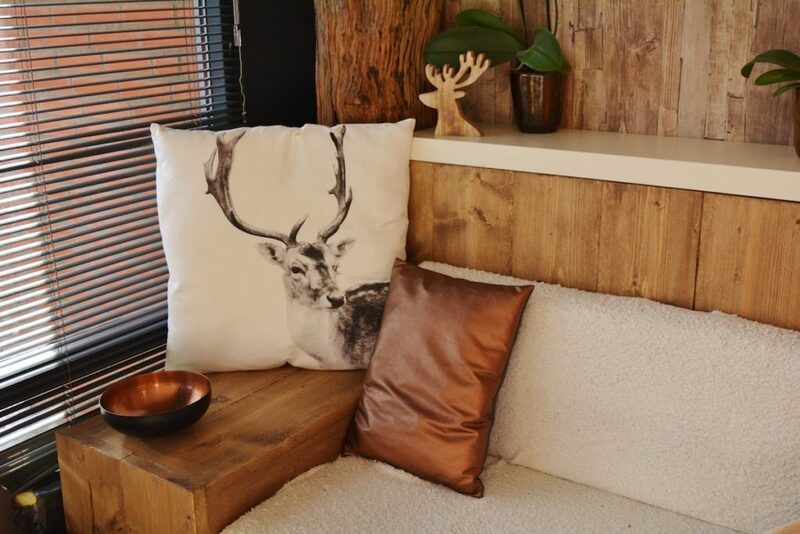 We often see this trend on the scene around the festive season – and from autumn, with images of wildlife – foxes, stags and squirrels printed onto things like cushions, along with baskets filled with cut logs ready to put on the fire and throws casually thrown over the back of sofas. It’s a very warm, inviting look – particularly on cold, dark days and it’s actually possible to easily combine the look with modern accessories and furnishings that won’t look out of place. As someone who doesn’t like clutter and gets pleasure from seeing my home spick and span, this look really appeals to me. I don’t like ornaments or trinkets particularly and I try to abide by the rule ‘Bring one thing in, take one thing out’, meaning that if I buy a new accessory for the house then I have to let go of something by donating it to the charity shop. And if I didn’t follow this protocol of mine, I know that my humble abode would start to resemble a hoarder’s house – and that would honestly be my worst nightmare. So the minimalist style is for someone who loves tidy and clean spaces, with plenty of free work surfaces/kitchen units – some people even going as far as hiding the toaster away when not in use. I equate the minimalist style to serene surroundings and that’s why I’m always striving to have elements of minimalism in my own home. As one example, in my lounge I have alcoves either side of my chimney breast. Shelves with hidden support brackets (thanks IKEA!) sit inside these alcoves, but rather than load them up with piles of books and clutter, I’ve picked some select items to display, each with similar colours for consistency. Have you heard of the names Sheraton, Hepplewhite and Chippendale – no…not that type of Chippendale! If you should know anything about the Neo-Classical period it’s that these three names were the famous cabinetmakers during that period and, like any great design, their styles just keep coming back in trend. Furniture during that period overall was unfussy and, for want of a better word, rather plain. The style developed in France and England in the mid 1700s and its quite formal, so you’ll often see it replicated in larger homes. But that’s not to say you can’t use elements of Neo-classical if you like in a one-bed flat. The style uses a lot of colour – predominantly green, creams, mustard yellows and muted blues and pinks. If you’re looking to recreate the look, a good idea would be to seek out furniture and one-off pieces at flea markets, boot fairs and reclamation yards. Vintage seems to be permanently on trend at the moment and it’s definitely a look I definitely favour. Think Cath Kidston and you’ve got the right idea. Items that are vintage are at least 50 years old, but less than 100 years old, so it’s not to be confused with antiques (more than 100 years old). Many high street (and online) shops that sell interior accessories and homeware have jumped on the bandwagon when it comes to offering vintage accessories, meaning that decorating on a budget is even easier. When I think of what Bohemian means to me I think of someone who is creative, artistic and laidback; someone who chooses to life a fairly simple, yet carefree lifestyle. The Bohemian look is laid-back and is possibly one of very few looks that can get away with being a bit messy – as it only adds to the appeal. It could include vintage elements – and usually always includes some sort of textile print, fabric or item from abroad, along with collection displays and plenty of rugs to offer inviting areas in which to ‘chill out’. I personally love the hippy look and, being a bit of a workaholic, I’ve often wondered if surrounding myself by Bohemian-inspired influences would chill me out a bit more. Great places to shop for this look include charity shops, boot fairs and most items sold by students! How's this for a start…? Right now, as I’m typing up this post, Art Deco influences can be seen up and down the length of the high street. Think lots of geometric shapes, zig-zags and angular shapes across all interiors – lighting, kitchen accessories, cushions, throws…you name it, there’s plenty of it. 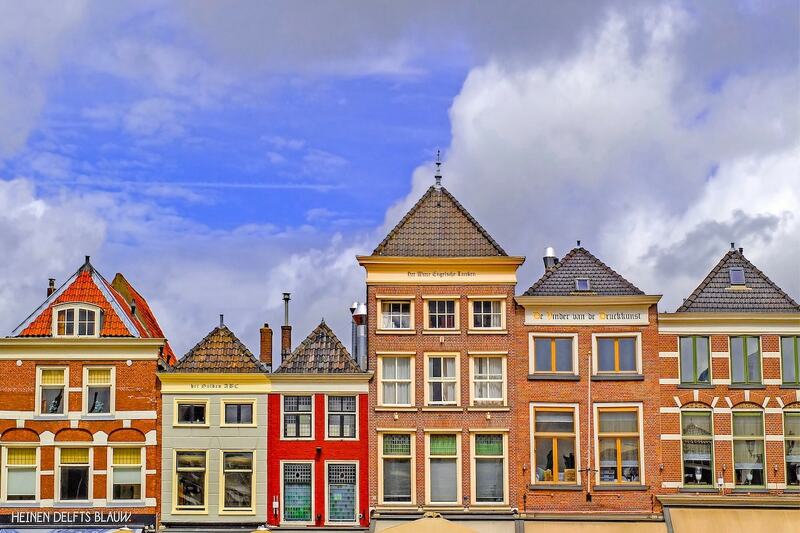 Shops such as Habitat are well known for this type of look anyway – even when it seems it might go out of fashion for a while. Designs and patterns are bold and colours are strong and usually highly contrasting such as black and white. Global influences can also be very strong in the Art Deco look, so if you’ve been travelling or are a fan of seeing the world, consider bringing back a few unique pieces to add to your home. This is another of my favourite themes, but I tend to associate it with lofty apartments and single bachelors. Think natural wood combined with cooler materials should as metal and steel and you get the idea. A good word to use to describe this look is ‘raw’ – stripping things right back down to basics. 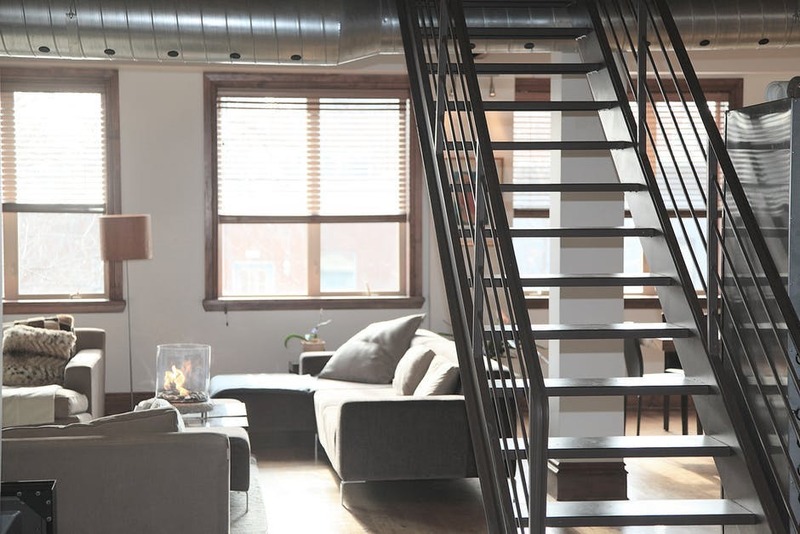 Put it this way, you wouldn’t find carpet in an industrial style room – it would be concrete or wooden floors with a couple of rugs to add a touch of warmth. Right now the look is very popular and can often be seen in high street fashion shops – Superdry springs to mind as it displays clothes in wooden crate boxes turned on their side and huge metal pipes running from floor to ceiling as a statement piece….you get the gist! I couldn’t write a post about interior style themes and not include the Scandi look – or even mention the word hygge come to think of it! In geographical terms, most define Scandinavia as a region which includes Norway, Sweden and Denmark, with Finland and Iceland generally also include. And Scandinavian design offers a nod to the simplistic lifestyle in these aforementioned countries. Designs are understated, unfussy and often resemble pieces of art. Think of the walk-through tour that you’re forced into when you enter IKEA (if you didn’t manage to find the shortcut to the Marketplace), and you’ve got the right idea. And to set the scene even further imagine lots of white and paler shades on walls and in furniture, some nice big chunky throws, lots of lighting, big windows, a pair of slippers, natural flooring and a cup of hot chocolate. It looks very much like a show home but a homely show home if you know what I mean…one that you’d just like to pick up and plonk down in your own home. Which nicely brings me on to the Hygge word that we haven’t been able to get away from this year. So what is it? Well, first let’s get the pronunciation right. It’s hue-guh. And it’s meaning? Well, according to Wikipedia, the word hygge comes from a Norwegian word meaning “wellbeing”…. “It is also speculated that hygge might originate from the word hug. Hug comes from the 1560s word hugge, which means “to embrace”. The word hugge is of unknown origin but is highly associated with an Old Norse term, hygga, which means “to comfort”, which comes from the word hugr, meaning “mood”. In turn, the word comes from the Germanic word hugyan, which relates to the Old English hycgan, meaning “to think, consider”. Crikey, it’s making my brain hurt thinking of all of those origins. I’ll stick with the comfort element I think. After all, there’s no point having a fantastic looking interior style theme if it’s not comfortable to live in. 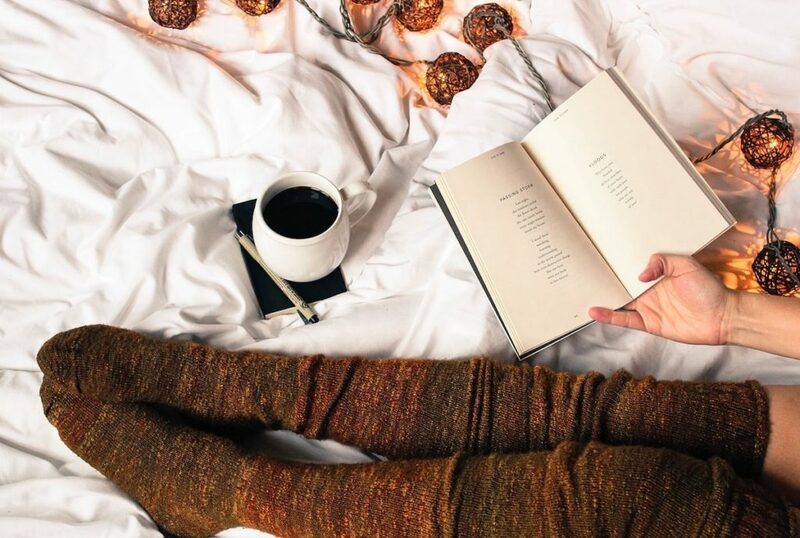 Looks like we should all be living by the hygge rule then, what do you think? 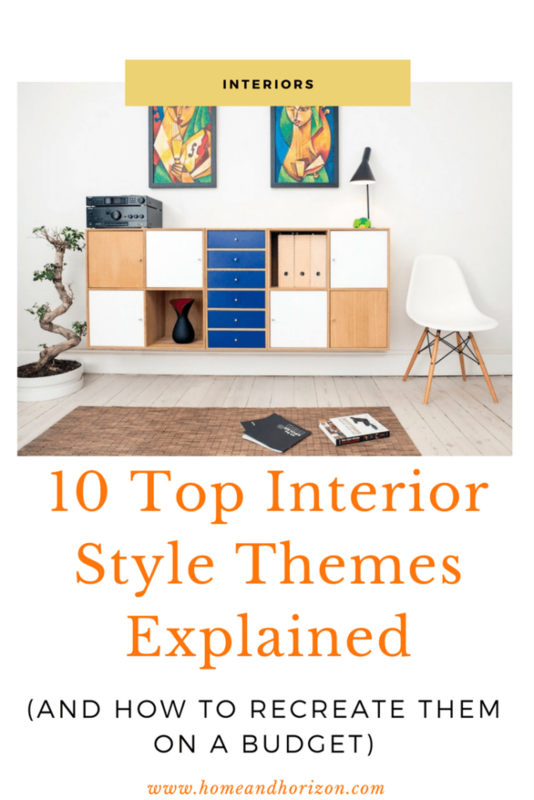 We've looked at Interior styles and trends, now check out these key design themes. I think we all tend to cross over styles, but lean towards one or two maybe? Does that sound about right? I love vintage & shabby chic, but am also a fan of art deco and country. What a mix! Shabby chic is definitely my style, although I do love minimalism too. I think we’re all partial to liking elements from different themes – especially when presented nicely in home decor departments! I really like the rustic and Scandinavian looks – they always looks so cosy. I have trouble committing to one style but love the results when people do, there’s just so much nice stuff out there in every theme! that’s so true! You need 20 or more rooms to cover all of the themes don’t you? A room for different moods?! Do the one in, one out rule Rhian…it does help! I think I’m the mix of a few as well Kerry – thanks for your lovely words of encouragement! There are so many to choose from which is great. I like the minimalist although we haven’t managed it yet with my lot lol. I don’t think you can do minimalist with kids can you? It would be too much hassle I’m sure! Glad it helped Rebecca – thanks! I have to admit that I didn’t know all of these terms so I enjoyed reading about trends and styles I wasn’t au fait with! Great!…Glad to have been able to educate too – thanks Tanya! Thanks Stephanie – do you know there are plenty more still – these are just the popular ones! 🙂 I love the Shabby Chic look too! Ahh I love this, I sometimes find all of these terms quite confusing! I love rustic, and vintage, our house is a bit of a mix of them all though! Ha! Same with me – I have different themes for different rooms and sometimes mix and match between them.